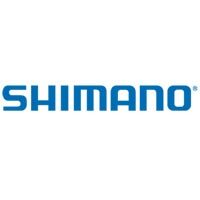 Hannah Rae Finchamp is a professional mountain biker on the Clif Pro Team. 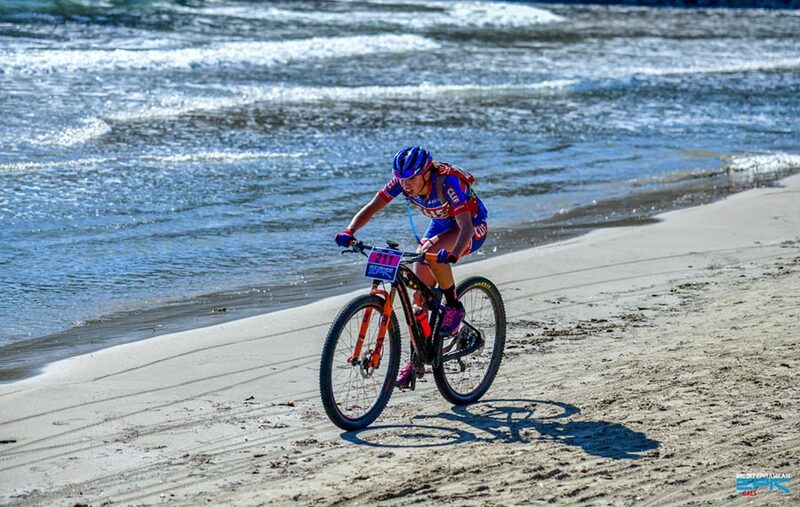 She started her career as a triathlete competing in, and winning XTERRA world championships. 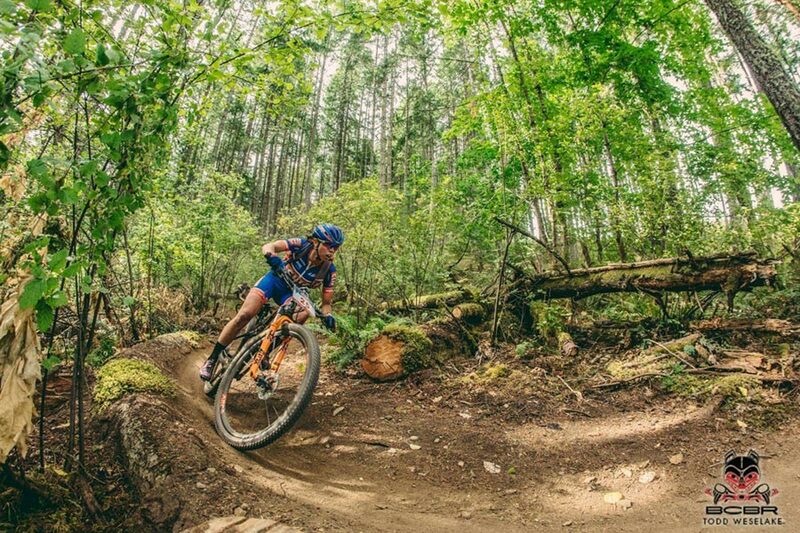 Hannah was kind enough to answer all our questions about her training regimen, high school experience as a NICA athlete, and what’s coming up for this mountain biking season. Before you read on, we would like to sincerely thank Hannah for her time. 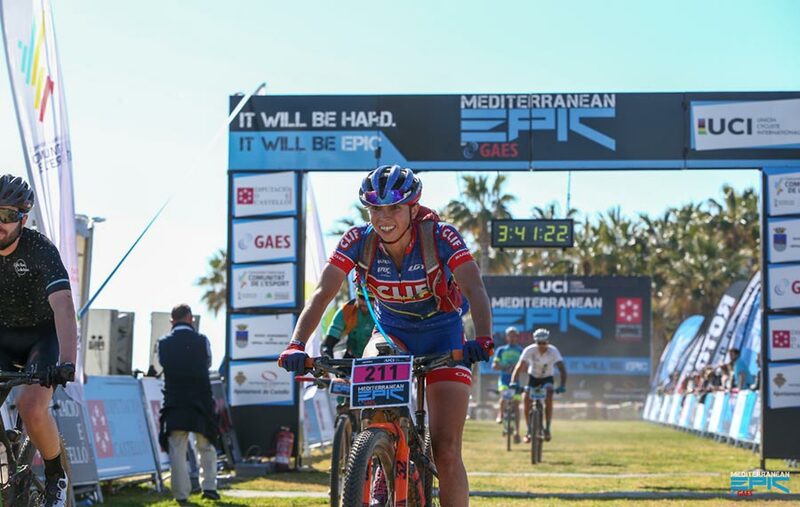 MTBK: You recently did the Mediterranean Epic with a top 10 finish – is that correct? Hannah: Yeah, I was 9th this year. MTBK: Was a top-ten finish one of your goals or did you meet your goal(s) for that race? Hannah: I did meet my goals. I would say my goal for that race was more the experience than anything. In the past, being in college, I’ve never really done a solid pre-season event. And so this year, I said I just kind of want to see what I can do. And that’s kind of my mantra for the season. 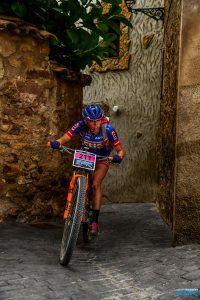 I was just like, “Let’s see what I can do.” I decided to go to Spain, do a pre-season race and kind of take each stage as a different gamble and discover the different things I can do. MTBK: Were there athletes that you recognized from past events doing that race as well? MTBK: When did you start riding mountain bikes? Hannah: My journey to mountain biking was a little bit different actually. I started racing triathlon when I was nine. In triathlon I did the XTERRA races, so I rode a mountain bike. Throughout that time for training I would do various mountain bike races. But it really wasn’t until NICA that I started doing mountain bike races without the swim and the run. When I was 16, at the XTERRA World Championships, I won the event and a Clif Bar rep was standing at the finish line. The Clif team manager asked me if I would want to race for them and that was an opportunity I couldn’t turn down. 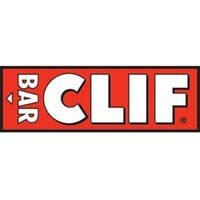 A few years into my journey with Clif Bar they switched their focus entirely to mountain biking. With me being so young, they offered me the opportunity to make that switch with them. I did. And ever since, I’ve been a full time mountain biker. Hannah writes and maintains a blog. She told us, “Every single time I start a race I write a post try and be as open as possible about it, so hopefully someone can relate to a thing or two on there”. Be sure to take a look at Hannah’s writing and follow her on Instagram. 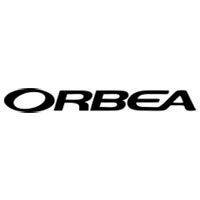 MTBK: Do you miss the XTERRA races? Now that you’ve been able to tour the world in a different discipline, do you miss the swimming and the running? Hannah: I miss it because it was a big part of my life and I do love the competition, but I don’t regret the decision I made in any capacity. I love mountain biking and it’s definitely what I was meant to do. I don’t plan on changing that anytime soon. MTBK: How did you start your triathlon career? Did your parents play a role? Hannah: I started as a soccer player and I felt as a young kid, “I never get tired on the field. I just want to run all day long.” And so, I asked to go to a running race and at that running race there was a booth at the race that was advertising a triathlon. I pointed to that booth and I said, “Mom, I want to race the triathlon.” She said, “Oh, they don’t have this for kids.” And the guy at the booth said, “Oh yes they do!” So, I went through a triathlon camp. I learned how to do it and then that was that. MTBK: What’s the best thing about participating in high school mountain biking for you? What did you like the best? Hannah: My favorite part of high school mountain biking was getting to race with kids my age. Because starting in triathlon so young I was always racing against adults and I never really even thought twice about the fact that there was maybe one or two people in my age group, I was focused on whoever’s in front of me. When I came to the high school events and was lining up all around girls my age it was just so much more fun because we could all relate and we all have the same things going on in our lives. When I went to high school practice, kids would stay around when the ride was over and just hang out doing wheelies and tricks. I feel like that is so valuable and it’s so missed when you don’t have that opportunity to play with your peers. MTBK: What was the most challenging thing about participating in the NICA races for you? Because you were already a world-class athlete, did you find the competition satisfying at your NICA races? Hannah: It was a different experience for me. There definitely was competition. I never went to a race thinking, “I’m just going to do the race.” It was never like that. The girls were strong and there were a lot of them. I think what it is for most people is finding the time for it all and that would be in the training and everything. It is a challenge to get so many kids together out on the trails at the same time because mountain biking does take more time than cross country running and some other sports. I was on the swim team. I was on the cross country team and I raced NICA. For me, the time commitment was challenging and I’m sure it was challenging for everyone. When running, I could just throw on my shoes, run for 45 minutes and call it a day and that was great after school and then you still have time to study and everything. With mountain biking, I couldn’t run and mountain bike. I couldn’t swim and mountain bike. It’s really hard for someone to do high school mountain biking without either their high school having a very committed team that’s going to settle all these kids to the race- or without having a parent that’s going to drive them to the trails and manage logistics. It’s not like soccer where one parent can say, “Okay, this time I’ll drive the kids to the game. Okay, I have a minivan, six of you pile in,” or whatever it might be its like six kids and six bikes. So, even if one parent is willing or one club is willing, it really does take a lot to bring all the kids and the equipment and the bikes and whatever else. MTBK: Did mountain biking affect your academic work in school? Hannah: Once again, I was swimming and running and cycling. I feel like I had a lot on my plate but if anything I think it made it better because school always came first. If school ever were to slip then I wasn’t going to go to practice. I brought a lot of the dedication that I had on the bike to my school work as well. I’m really thankful for that because I loved school and I loved college and I love learning and I think that translates back-and-forth. Even on the bike I’m a very analytical person. I don’t just want to send it down the rocker. I want to know why based on physics or whatever else I can get my bike from here to there without crashing. MTBK: Tell us about some motivational coaches you’ve had. Hannah: I’ve been blessed with a lot of really fantastic coaches, two in particular really come to mind. One is the one that I have right now, Coach Chris Mileski. He started coaching me when I made the transition from triathlon to mountain biking. He’s coached me for quite a while now and he coached me through that transition. We really connect well and he’s motivating. For the first few years of working together, his mantra for me was ‘Always honor the process.’ We’d really talk about, if you can jump into this sport and be one of the best people right away what does that mean for the sport? It means it’s not that competitive. And so, he helped me take on the attitude of honor the process and be thankful for those finishes where you recognize, “Wow, I was not as fast as I wanted to be in this group of people,” because that’s what helps you grow and learn. The other coach that really comes to mind is the coach that I had in high school. He was actually the swim team coach at my high school but he loved cycling and so my junior year he would take me out to go riding. 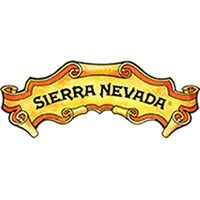 Because I was a young girl, I couldn’t always ride the trails alone and he helped me start the mountain bike team at my high school. His name is Joe Zambrano and I think he is what so many high school coaches should be like. He was the person everyone wants to talk to. When I think of high school sports, he’s who I think of. Because there are so many people who joined the team just because they wanted him as a mentor. I think that is amazing. MTBK: What advice would you offer to high school coaches on how to get more girls on mountain bikes? NICA has even created a the GRiT program (Girls Riding Together). Hannah: It definitely is a challenge and I think that’s probably the first thing to recognize is that it is going to be a challenge and what works for some might not work for others. I think at the end of the day, it’s about breaking down barriers. It’s about accessibility and it’s about community. Regarding accessibility – I would really love to see more opportunities to try the sport without commitment, because I think that’s the hard thing. I think more girls would sign up if they could go for a ride and then say if they like it or not, because that’s not as intimidating to a girl. It’s hard to commit to something, especially when you don’t know if you’re going to be good or not. And just statistically speaking, girls are more self-conscious – especially during that age and that’s when you statistically see a lot more girls drop out of sports because their confidence goes down and they think, “Oh, maybe I can’t do this, it’s too hard.” The GRiT program really does have it down, which is Girls Riding Together. Girls need other girls most of the time because I think people don’t realize that mountain biking is a social sport. Cross country was one of the biggest sports on campus because it was so fun to run together and chat and hang out – and it’s the same on the bike. I think the more girls we see come into the sport, it will exponentially grow because the girls in the sport will bring more girls, and so on. MTBK: Are female coaches a big component of this too? Realistically, will a female coach make younger girls more comfortable riding bikes together? Hannah: I think so. I coach and some girls have specifically sought me out because I’m female. It’s harder for the high school teams because I understand that whoever is running the team – they can’t change who they are. But yeah, I think adding a woman to all the team rosters makes a huge difference. Because it’s more relatable. Girls will say more things to women. MTBK: What’s your most memorable biking experience? Hannah: If I had to single out one I would pick the BC Bike Race last year. It actually gives me chills just thinking about it. That is where I actually met Kaysee Armstrong. We formed a good friendship there. We camped that whole week with everyone else participating at the race. 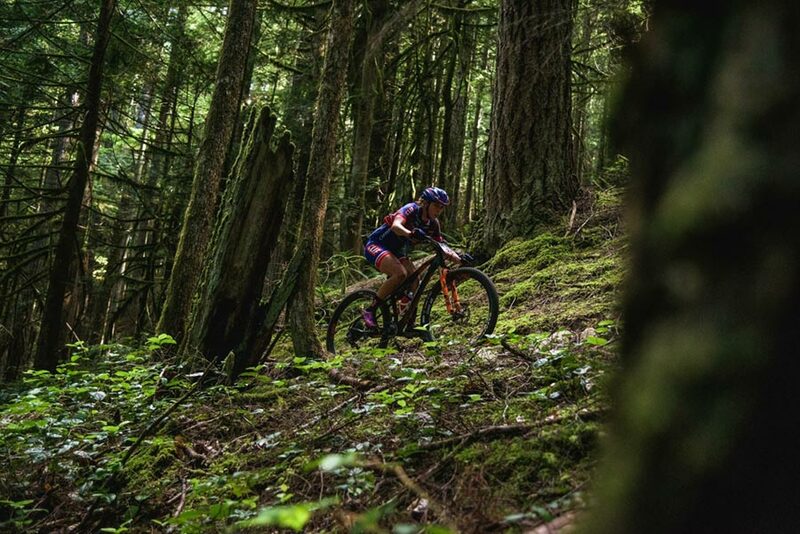 At the BC Bike Race, you’re camping and you’re eating whatever food they have, and you’re taking care of your own bike and everything else. Everything’s not going to be perfect. And it really taught me that it doesn’t have to be perfect in order to be great. That was a huge lesson I learned and I’ve been trying to carry it with me ever since then. It just showed me what I was capable of. Because sometimes when you have a staff around you and you have managers and friends and competitors and mechanics and everything else, it feels like your only job is to race, which is great. But when all that’s taken away, you learn that you’re so much more capable than you would ever think. That’s probably my favorite part of the sport. 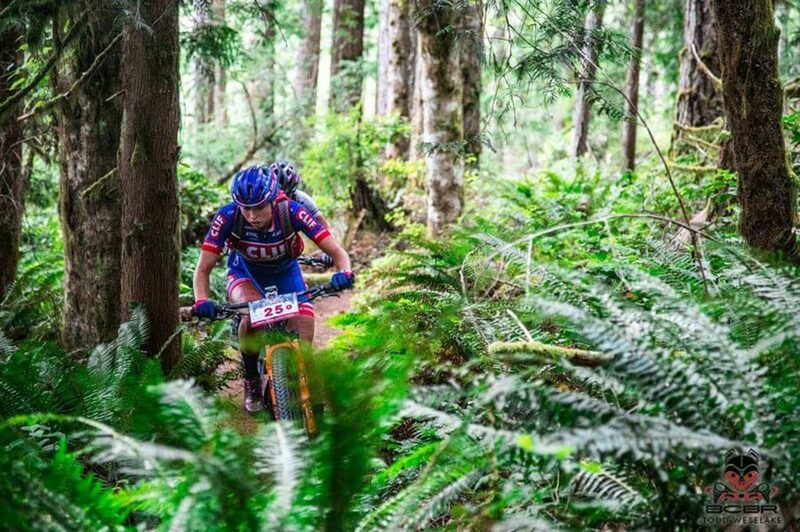 MTBK: Did you have any “Oh, crap” moments at the BC Bike Race that put your independence to the test? Hannah: My hardest moment, personally and mentally during that race was on the hardest and longest stage. It actually started on a descent and as we were coming down a big fire road and there was a huge water bar in the middle. With everyone there I didn’t know it was coming until everyone in front of me disappeared down into it and then came back up the other side and I just shot off the front and actually slammed into the other side of the water bar. After that, people started descending almost on top of me, I was just curled up in a ball in the bottom of this thing. I got up and all my stuff was everywhere. It was like two yard sales. I was bleeding. I’m thinking, “I have a really long ways to go.” In that moment I thought I have a decision. I thought to myself, “This is a seven-day race. You’re not going to quit – you’re not going to. So, how do you want to handle it?” And I said, “I’m going to give myself 60 seconds and I can do whatever I want for the 60 seconds and then after that I’m not thinking about this again.” And everyone must have thought I was crazy. Just for the next 60 seconds I just talked a lot of crap like, “This is horrible. I’m in so much pain. Everything is terrible.” And then after 60 seconds it was just like, “Hey, I’m fine now.” You have to take advantage of those moments where you learn it, them push it away because you don’t want it to happen again. MTBK: Where would you like to go mountain biking that you haven’t been yet? Hannah: The answer to that question would be anywhere I haven’t been. Every time I ride a new trail I get so excited and I love travel. My goal in life is to visit at least 50 countries. So, the idea of traveling with my bike, in and of itself, is my dream. If I had to pick a place without even much knowledge, I would probably say Patagonia. I’m sure someone will say, “Why would you go there?” Honestly, I just want to go everywhere. So, it’s really hard for me to pick one location. MTBK: Are you happy with where your fitness is right now? Hannah: I’m really happy where my fitness is. It’s been a really exciting winter for me because I’ve gotten into new territory this winter. This is my first year entering the sport where I’m not a student as well. I graduated college in May. The preparation has been different and that has been exciting. Doing the same thing over and over again was Einstein’s definition of insanity. I’m excited to have done something different and to feel prepared. I think a big goal for me this season is to expect the unexpected. One of my favorite things someone said to me one time is, “How fast would you be if you didn’t know how fast you are?” My goal is to enter this season with that mindset. So many times we stand on the start line, and count the people that we know and think, “Okay, well, for sure her, her, her, her – they’ll all beat me,” just based on history. But one day you have to step up and clear that history. MTBK: It’s one thing to be at your level of racing, but it’s another thing to be competitive in a race at your level. What are the things that you’re focusing on to make that difference? Hannah: I think the training is the first step. Training is a big deal – the way you train, the coach you have, matching your own physiology, training your weaknesses, racing your strengths. I think, once you get to a certain level, everyone’s doing those things. Everyone’s training hard. You look at social media and you can be either overly confident or overly intimidated. It seems like everyone’s putting in the mileage. The things that make the difference are how you’re resting and then your mind. Those, I think, are the really big steps that I’ve been working towards this season – especially now that I’m not in school. I want to do all of those little things a little bit more perfectly. You take one step at a time. I think resting better and really exercising your mind the same way you do your body will make a difference. MTBK: When you were winning XTERRA World Championships what was your mindset then? Was it just like go out there, go as hard as you can and see what happens versus this additional mindset and mental preparedness? How does that compare six years ago? Hannah: It’s so funny as I’ve asked myself that a lot of times as well because in mental preparation, that’s what you do. You think back to your most perfect races and you think how did I feel then. I’ve had a lot of great moments on the mountain bike that I could pull on to. I’ve won Collegiate national championships and I have those moments and I can think of what I felt then, but to think back to XTERRA worlds, it’s different for me. It’s hard for me to put myself there and I’ve come to the conclusion that I was so young then. There just weren’t so many thoughts. I think that in and of itself, is a discovery. I think that’s so beautiful and that’s what I would encourage other high school kids to take advantage of. Not that you don’t have thoughts, because if someone had said that to me in high school I would have been like, “You are not inside my head.” But there’s a beauty in the years and in the fact that I didn’t have every single moment of the race necessarily calculated. I was just out there doing my absolute best. I would encourage kids to stick with what works for them and not let noise from the outside begin to cloud the quietness. MTBK: How often do you lift weights or run as part of your training regimen? Hannah: I lift weights twice a week and I start that during the offseason in November. 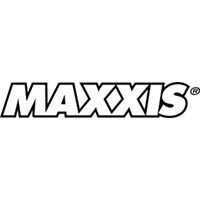 I up the intensity all the way through about now in March and then I start a maintenance program throughout the season. There might be a few big blocks when I’m not racing as much but I mostly just stick with maintenance throughout the season and I keep it at twice a week. And then really the only time I run is during cyclo-cross season or during the off season. MTBK: Is a day on the mountain bike mainly just climbing tough hills over and over? Hannah: I do a lot of interval work so I spend quite a few days on the road, even if it’s still on my mountain bike. I like to do intervals on my mountain bike just because it is a slightly different feel than a road bike and so it’s more sports specific. Throughout the week, I’ll have maybe three really hard interval days and then depending on where we’re at, maybe less intense ones or aerobic rides where I am just going out and loving my bike. Over time you get so used to those parameters that you really can just relax, find your rhythm, and ride the trails. We’re so lucky here in Salt Lake and close to Park City. We have so many miles to explore. I’m really happy to be living here now. MTBK: What are your favorite healthy foods? Hannah: I love sweet potatoes. That’s probably my number one favorite. Sweet potatoes and then every Monday it’s salmon night at my house. MTBK: My math could be wrong but you’re aging out of the U23 category this year, is that correct? Hannah: It was actually last year for me. I’m 23 this year but I have a December birthday. It’s been brutal. I feel like that December birthday haunted me. I’m finally passed it. There’s no more aging out. I’m committed now and I’m not going to feel it anymore. MTBK: What’s your upcoming race schedule? 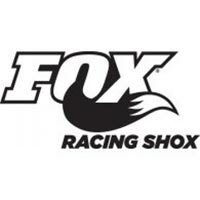 Hannah: I’ll do the first two UCI Pro XCT races in California, Bonelli and Vail Lake. A few weeks after those I’ll go to Sea Otter.